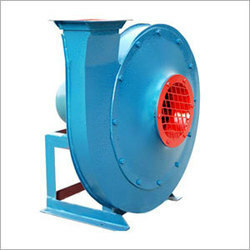 Backed by rich industry experience, we are engaged in offering a premium quality range of High Pressure Fan. - Duties Range : 150 m3/hr. to 60, 000 m3/hr. - Impellers : Radial Bladed. High Pressure centrifugal fans designed to convey air gases containing dust, granular material, long shavings. We specialize in supplying premium quality of high pressure fans. These SISW blowers meets the heigest range of pressure upto 1200 mm Wg which can be achieved by using a centrifugal action. These are extremely used in wide variety of applications such as glass plant, furnaces, high pressure dust extraction systems, boilers, incinerators etc. 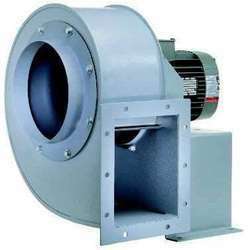 TYPE: SIAC CENTRIFUGAL BACKWARD AEROFOIL NARROW WIDTH HIGH PRESSURE FAN, SISW. Wheel Diameter: 600 mm - 2500 mm. PERFORMANCE: 500 -200000 CMH upto 1000 MM WG SPN arrow width hi efficiency aerofoil section blades are non overloading type. APPLICATION:These fans are designed for forced draft , glass cooling, combustion air and high pressure process supply application.